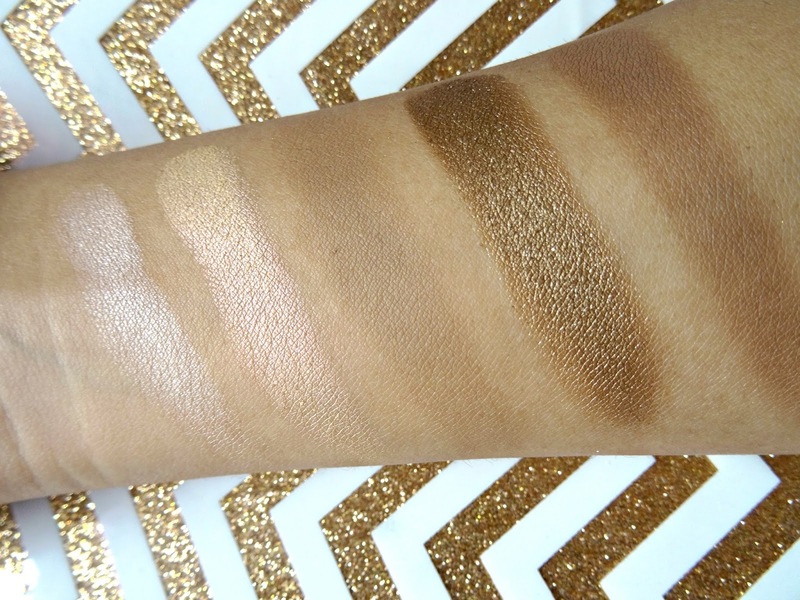 If this is the first time you've come across this palette, then seriously where have you been?! 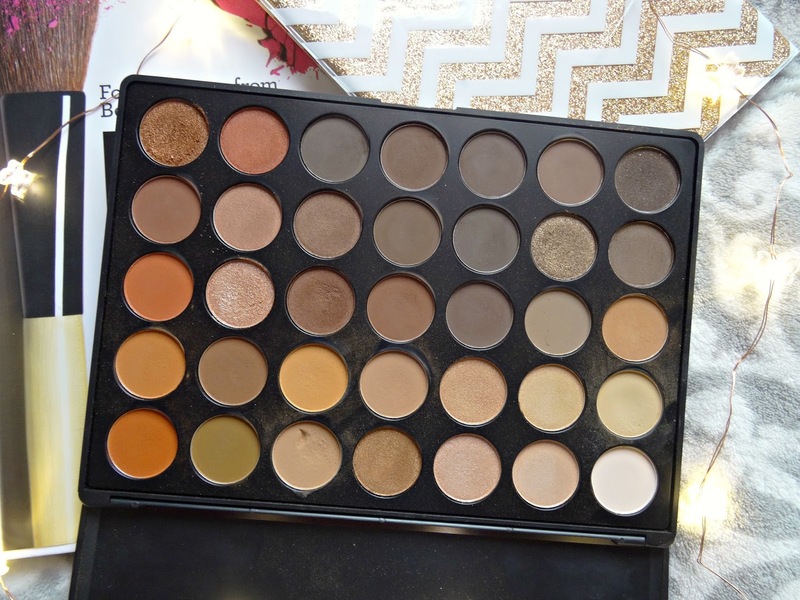 This is the 350 palette by Morphe that has had everyone and their mums go crazy over. It's one of their best sellers and basically sells out pretty much every time they re-stock! I finally managed to get my hands on the palette and even though I had to pay a ridiculous amount for shipping/taxes, it was totally worth it! 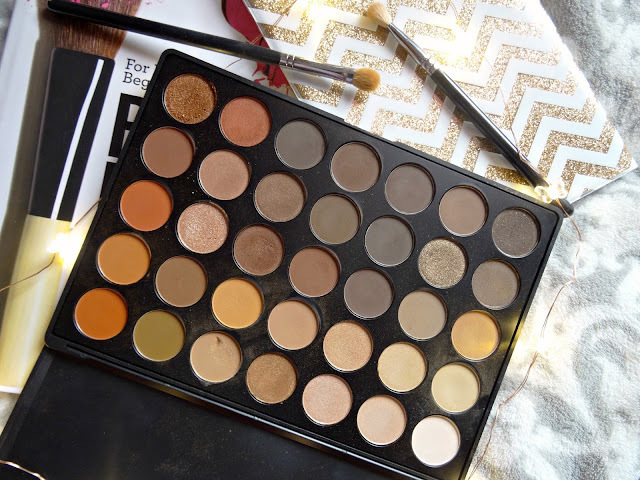 It's pretty much my go-to palette, with a whole range of warm, neutral shades that would suit any skin tone/colour/type! 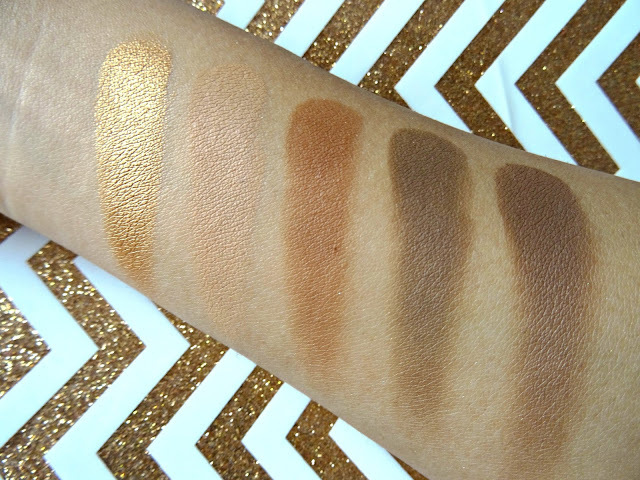 I know so many people have already put up swatches of this palette, but I thought I'd do it so you can see the colour pay off on a different skin tone. These shadows are so pigmented and are so easy to blend, just like all the shadows from Morphe. Even if you can't get your hands on this palette I would recommend you try out some of their individual shadows! I have swatches these shadows in columns, from left to right starting from the bottom shadows to the top. This column is actually one of my favourites, mainly because of the first three orange shades! I love adding these to warm up cold shadows as I find that doesn't really suit me much. They also add a really nice pop of colour without looking like too much, as much as they may scare you in the pan! 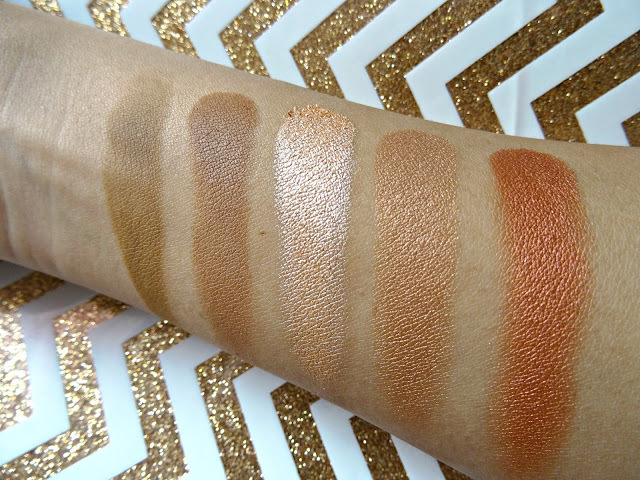 Also, how beautiful is the shade on the far right?! 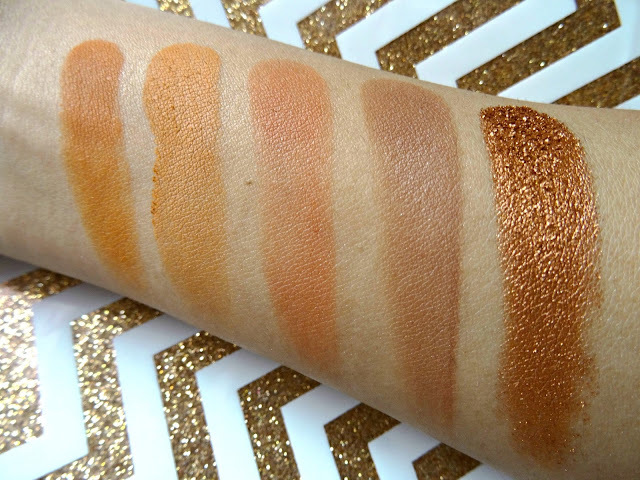 The pigmentation is incredible, such a nice golden/copper shade! This column has a nice range of satin shades with my personal favourite being the penultimate shade! I think it's beautiful as an all-over the lid shade with a neutral shade to soften the edges! I also really like the middle shade which looks so pretty in the inner corner. The first two shades in this column are the shades I tend to use on a daily basis. They're just very complimentory to my skin colour and tone and are super easy to blend. I really like to use the middle shade on my lower lash line - so I use a small liner brush and push it right underneath my lower lashes for a nice pop of colour! Again, these shades are so buttery and pigmented that you don't even need to dampen your brush for a high intense colour pay-off! This column is perfect for you that love matte shades. I really like using these colours when I want a bit more of a 'Day-time Glam' look. They're very neutral but pigmented (of course ignoring the first shade). 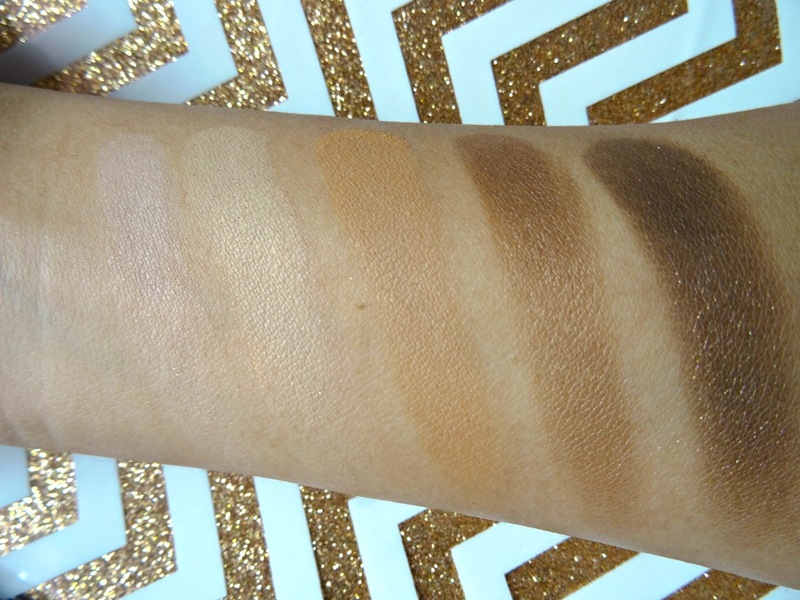 My favourite is the middle shade purely because it's such a nice warm brown and you can wear it easily all year round! Oddly this is probably the column I don't reach for as much. The colours are beautiful but not the kind that I would wear often. The last two shades are matte by the way but I think I still had some glittery pigment from the other shades on my fingers when I swatched it. 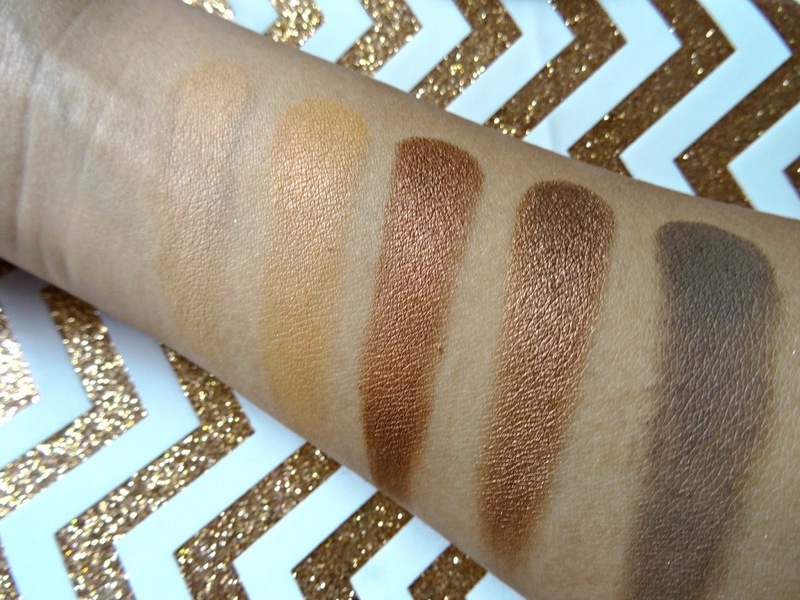 I think these shades would be nice on a smokey winged-liner look or something quite deep! 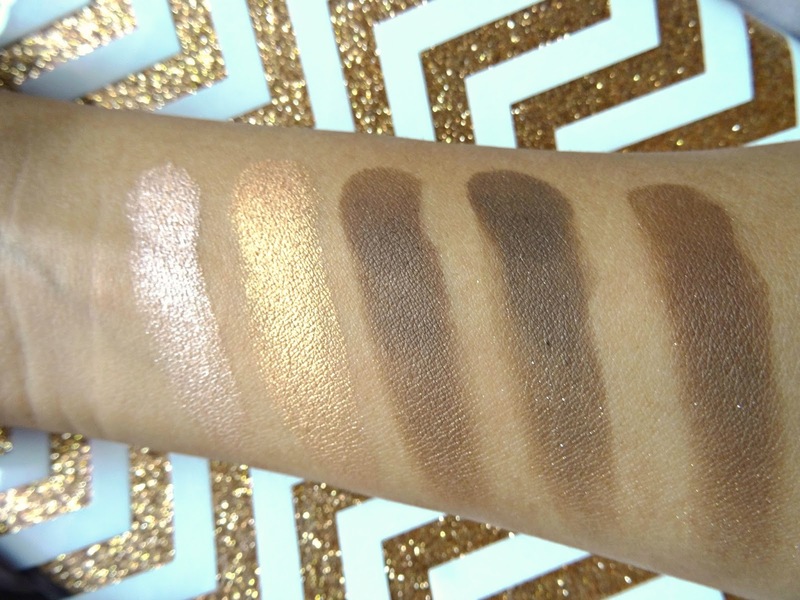 The first shade again, would be perfect for a inner corner highlight. A lot of neutrals going on in this column, but this time with a bit more of a sheen to them which I love! These again could be shades that you could apply individually all over the lid. I really want to experiment with the glittery olive shade in this column, it's so different to what I'm used to but looks gorgeous swatched! This is probably my most used column and from the look of it, the most boring too! But these are great base colours that can be used as a first step to make your shadows pop!! I also use them to set any lid primer or concealer I've used on my lids. These colours are so pigmented, they're really nice too!